SA’s Raven Klaasen and partner through to the quarter finals of the Australian Open - SABC News - Breaking news, special reports, world, business, sport coverage of all South African current events. Africa's news leader. The 6th seeded pair of Raven Klaasen and Michael Venus beat Brazil's Marcelo Demoliner and Dane Frederick Nielsen in straight sets. 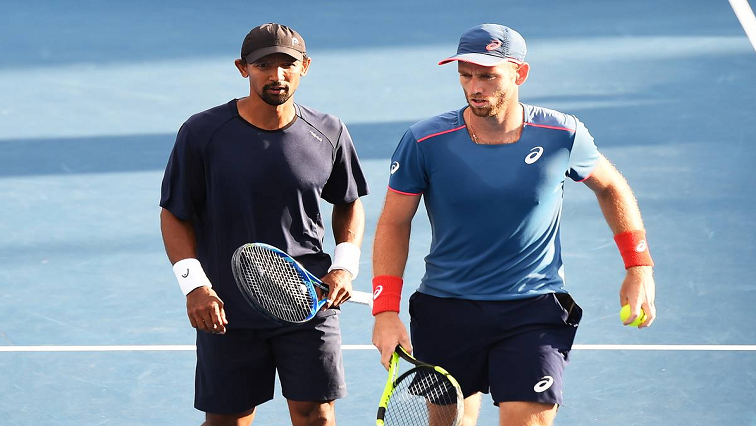 South African doubles hope, Raven Klaasen and his New Zealand partner, Michael Venus, are through to the quarter-finals of the Australian Open tennis tournament in Melbourne. The 6th seeded pair beat Brazil’s Marcelo Demoliner and Dane Frederick Nielsen in straight sets. However, in the singles main draw, it was a day of huge upsets, second seeded German, Angelique Kerber and third seeded Swiss, Roger Federer, crashed out in the fourth round of the event. Federer faced a determined Tsitsipas at the Rod Laver Arena, but managed to bag a tense first set in the tie-break. With brilliant shot-making, Tsitsipas then clinched the next two 7-6, 7-5 as Federer struggled with unforced errors, especially on the forehand. By the fourth set, the tension around the court was palpable. The set also went all the way to the tie-break which an emotional Tsitsipas won to secure an impressive victory against Federer who he calls his childhood hero. Meanwhile Kerber, who was on fire in her previous three matches, was expected to race past Collins. But the world number 35 was in a different class and Kerber failed to find her feet. The American needed just 56 minutes to record a 6-love, 6-2 win. Local favourite, 15th seed, Ashleigh Barty also created somewhat of a stir. Barty beat 2008 champion, Russia’s Maria Sharapova in three sets to reach a grand slam quarter-final for the first time in her career. “I gave myself some opportunities in the third set, on serve, and just couldn’t take it. So I just had to take a deep breath and trust the work that I”ve done with my team. Hit my spot and whatever happens, happens,” Barty said. Second seeded Spaniard, Rafael Nadal, initially ran circles around Czech’s Tomas Berdych. Nadal won the first two sets 6-love, 6-1, but had to work hard to clinch the third 7-6. Nadal will face young American, Frances Tiafoe in the last eight. This entry was posted on 20 Jan 2019,05:35PM at 5:35 PM and is filed under Sport, Homepage Featured Story Slider. You can follow any responses to this entry through the RSS 2.0 feed. Both comments and pings are currently closed.